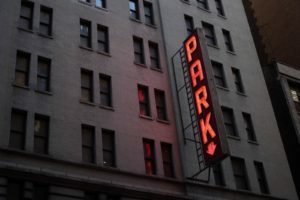 Many of us are going to be traveling this summer, and that may lead to the use of a hotel or restaurant parking valet. When you toss your keys to the valet at a restaurant or hotel, you're giving a total stranger permission to take your vehicle. What happens when your car is returned, and you find damage? Who is responsible? How will your auto insurance respond? Remember, each auto insurance policy is different, and payments for losses will depend on your individual circumstances. Here are a few general ideas to remember if you have damage to your car from a parking valet. Some hotels and restaurants actually use third party valet companies. These companies usually are required to have insurance. Garage keeper’s legal liability coverage will cover damage to a vehicle in the valet's custody or control. However, getting the valet company to own up to the damage can be difficult. You can imagine they get many claims and it is hard to prove who actually is responsible for any damage. Report the damage to the police. Some jurisdictions will not take a report for parking lot damage, but it is worth a try. Take photos of the damage, and get the name and contact information of the driver. You may have to contact the hotel or restaurant manager. Ask if there are security cameras; this may be helpful as part of your claim. Some hotels keep logs of where vehicles are parked. We recommend calling our office to determine if you should file a report with your auto insurance company. Your insurance company will then determine who is responsible for covering the cost of repairing your car. Remember your deductible will apply. If you have comprehensive coverage for your vehicle, your policy may pay for the damage. If you do not have comprehensive coverage or do not really wish to use it, you can pursue the valet service or restaurant company.